A mother has hunkered down with her five children and dog in their Wilmington, North Carolina, home as Hurricane Florence bears down. 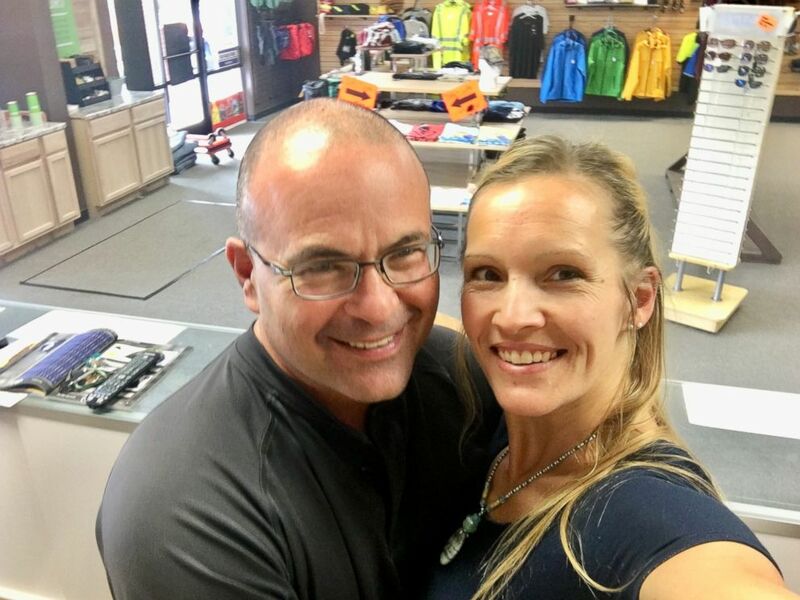 Melissa Cellucci, who lives 20 minutes from Wrightsville Beach where the hurricane made landfall, told ABC News she is riding out the storm at home while her husband Joe, an EMT, is on lockdown working at Hanover County Regional Medical Center. Since the Category 1 storm with tropical force-winds made landfall around 7 a.m. Friday morning, Cellucci said she has seen evidence of the hurricane's force in her own backyard. "It's crazy and frightening," she said. "We've been watching trees being torn down and our backyard fence get ripped apart all morning from the winds." Despite warnings to evacuate ahead of the powerful storm, Cellucci said she and her husband made the decision to stay home. "With having five kids and my husband’s stuck at work on standby for his job at the hospital it was just easier for us to stay at our home where we have all of our things," Cellucci said. "We have a safe place here at our home and a generator and we have supplies, so we felt that we could be safe here just riding it out." But when she and her kids lost power at 3 a.m., she said she began to worry. Although her husband showed her how to turn on the generator before he left for his job at the hospital, she couldn’t get it started on the first try and she and her children were without power for hours. “When the wind picked up it got really spooky and scary. I really didn’t get any sleep, I needed to be up in case anything happened,” she said. But she was “thankfully” able to get the generator started on her second try, it started just now on the second try,” Cellucci said midmorning Friday. Joe Cellucci and Melissa are seen here in this undated file photo. Her husband has called to check in on the family "several times" as well as to assure her that he is safe, she said. "He told me how the hospital felt like it was swaying from the high winds since they have all the EMS personnel in his crew staying on a high floor at the hospital," Cellucci said. "But they are all still on lockdown." 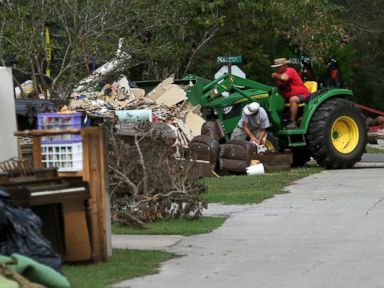 The family has experienced just one other hurricane in their North Carolina home when Hurricane Matthew hit in 2016. "This is our second hurricane. We’re not from down here; we moved down here three years ago from Michigan," Cellucci said. 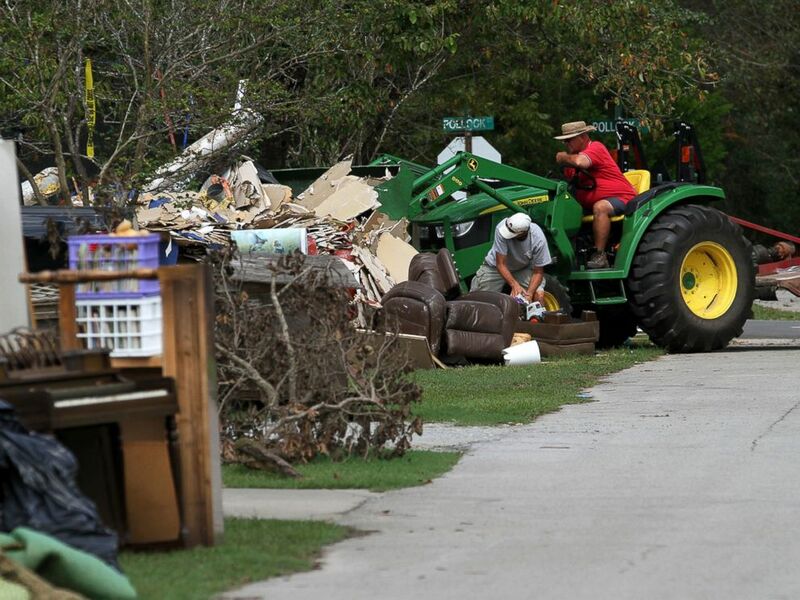 "It’s kind of new to us what a hurricane would mean so our anxiety was high getting stuff ready," she added. Cellucci told ABC News in an earlier interview on Thursday night that the family was already feeling the force of Florence. "The rain’s really picked up, and just stepping outside a little bit ago the trees are really blowing and bending. We have large pine trees in our backyard, and they’re really bending a lot," she told "Nightline" anchor Juju Chang on Thursday night. "The wind is howling away. I could hear it from inside the house." Cellucci said her children were "wound up from the excitement of the storm," Thursday evening but eventually "got tired and fell asleep."